Janice Marturano served as the Vice President of Public Responsibility and Deputy General Counsel for General Mills, Inc. for 15 years. 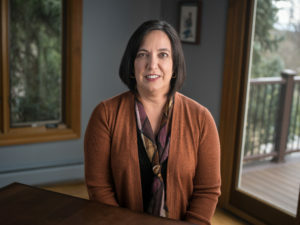 In the early 2000s, she played a key role in the merger of General Mills and Pillsbury, working to secure anti-trust clearance from the Federal Trade Commission. An officer from Pillsbury told her that if she couldn’t get the deal approved, 10,000 people would likely lose their jobs. During the 18 months it took to get the deal approved, Janice often worked 14-hour days. Six months into the process, her mother passed away. Six months after that, her father passed away. She was exhausted. Once the deal went through, Janice thought she would find the time to grieve and to regain the energy she needed to function each day. It didn’t happen until she discovered the practice of mindfulness. The practice not only helped her to grieve, and recoup her energy, it helped her to lead with increased clarity, focus, and calm. She gradually began helping her peers at General Mills to practice mindful leadership as well. Janice has been teaching mindfulness ever since. 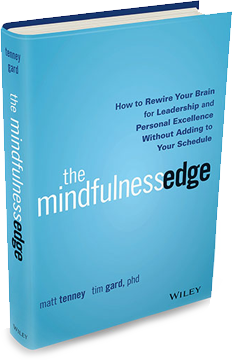 In 2011, she left General Mills to found the Institute for Mindful Leadership, a non-profit organization dedicated to training and supporting leaders in the exploration of mindfulness and the fundamentals of leadership excellence. The institute has brought the intensive training of mindful leadership to corporate, non-profit, academic, government, and military leaders. In 2013, Janice was invited to share her understanding of the importance of mindful leadership a t the World Economic Forum in Davos, Switzerland and again at the 2014 World Economic Forum Conference in Tianjin, China. 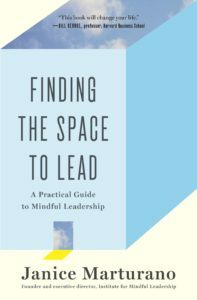 Janice is also the author of an excellent book called Finding the Space to Lead, which I highly recommend. To connect with Janice, please visit http://instituteformindfulleadership.org/. If you’re interested in attending a workshop or retreat with Janice this fall, please visit http://instituteformindfulleadership.org/course-and-workshops/.